When you use the Get External Data feature to create Web Queries or retrieve tabular data, you are creating a QueryTable to manage that data. This QueryTable can exist alone, or it can be associated with a ListObject (the ListObject is also covered in Chapter 6). Retrieving data using Web Queries or text files from the user interface will create a standalone QueryTable. Retrieving data from relational databases like Access or SQL Server will create a ListObject whose data source is a QueryTable. When you create your own QueryTable objects using VBA, you are free to create them either way. Both methods are demonstrated in this section. 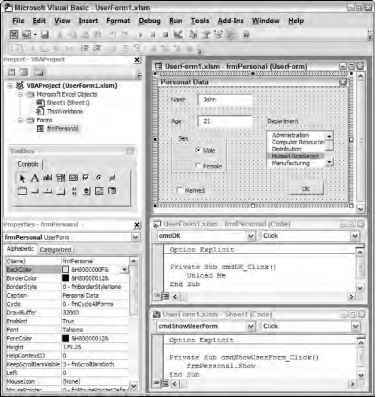 This section utilizes the Northwind database, a sample database provided with Microsoft Access 2007. If you don't have this database available, you will need to install it to run the example code. How to attach querytable to listobject?